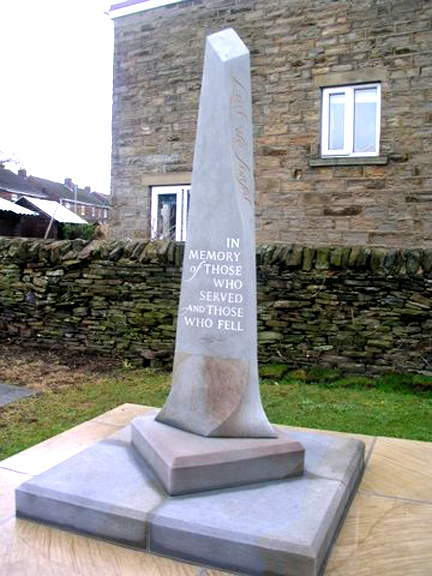 More information on this memorial, its creators and a newspaper cutting about the plans for its dedication on 6 November 2015. 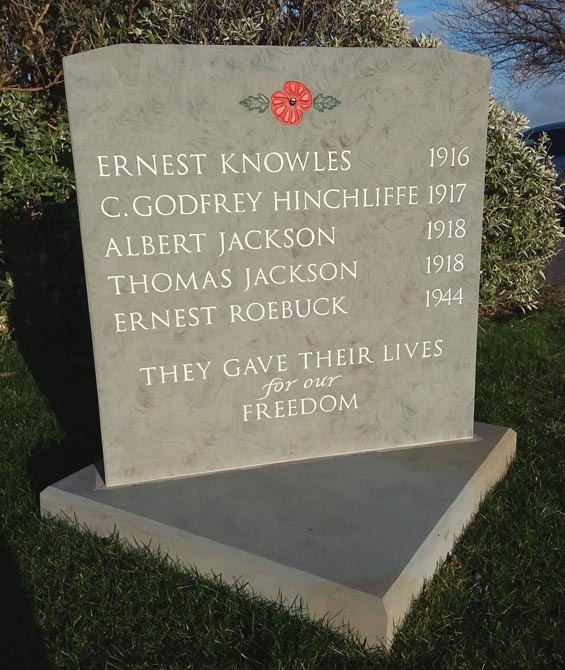 There are no names on the memorial itself, however a stone with a list of names was added to the corner plot (see below) in 2018 at a cost of £1,130 part funded by a grant from the Parish Council. 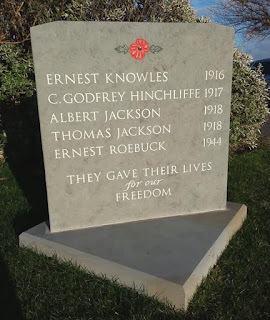 "They Gave Their Lives for our Freedom"
The Rolls of Honour rescued from the local chapel, one from World War One with 55 names and the other from World War Two with 17 names, were displayed in a nearby shop until it closed. It was planned to re-locate them in the village chapel.